Earlier this week, I received an email from a Chinese USB drive manufacturer asking us if we wanted to use him as a vendor. While the answer was “no, thank you,” his email still got my attention. It contained an attachment – a PDF document titled “Truth for Crazy Low Price in Market.” I was curious enough to open it and read through the broken English. Here are the contents of the document (with proper English). Samsung, Toshiba, and most other NAND Flash manufacturers lost a lot of money in flash production in 2008, due to an oversupply of chips into the open market. This resulted in lowest prices of all times for USB drives sold in November, December, and January. During this time, a fully assembled USB Drive (PCBA, USB connector, controller chip, flash chip, and casing) cost less than a pre-sliced wafer used to create flash ships. This is unheard of. Think of it as buying a car for less than what an engine costs you. The oversupply of chips (or wafers used for making chips) resulted in what is called “downgraded” flash. Downgraded flash chips are scraps from NAND Flash wafers that did not pass quality standards. Think of it as McDonald’s chicken nuggets – leftovers of old chicken meat blended together and deep fried (mmm, tasty). Downgraded flash chips have a very high failure rate. They may also corrupt your files and freeze your operating system. Controller chip is the smaller chip (compared to the larger chip – NAND Flash) on a USB PC board. 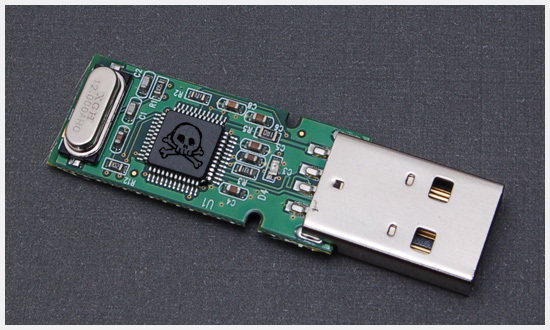 It is responsible for formatting, partitioning, auto-run, and many other functions associated with USB Drive use. NAND Flash chip is simply storage memory. There are 4 main brands of controllers – Chipsbank, USBest, SMI (Silicon Motion), and Alcor Micro. SMI is the largest supplier of controller chips. They are nice quality chips, yet, in our experience, have not worked properly for specialized applications (medical devices, exercise machine data storage, audio streaming machines). USBest has consistently been the best quality chipset. It has performed well across the board, with very low failure rate, as well as worked for specific applications I described above. If you need something quality – BUY USBEST. Alcor Micro is very similar to SMI – quality made, low failure rate, may not work for specialized applications. Chipsbank has proven to be the worst. They are the least expensive, have the highest failure rate and are constantly showing up as downgraded flash. If you are getting a price that seems too good to be true, you are probably being sold on Chipsbank. Buy from qualified, preferably US based suppliers. Ask about warranty, RMA processes, QC processes, and get references. Don’t search for the cheapest price, search for the best value.